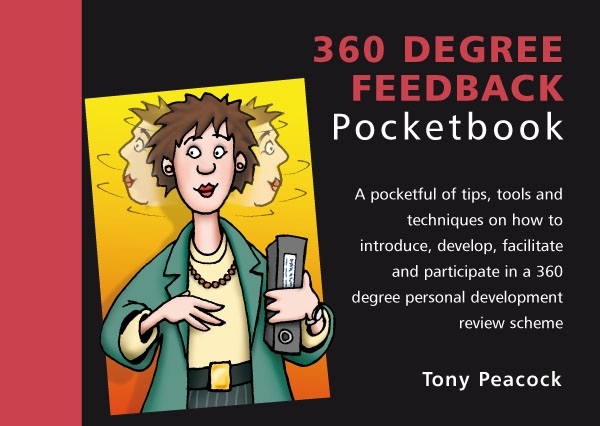 360 degree feedback is one of the most powerful experiences a person can have in the workplace, according to Tony Peacock the author of The 360 Degree Feedback Pocketbook. In this book he shows how feedback can be used for personal development, self-awareness, identification of talent and how in flatter organisational structures it will help management obtain a richer picture of team members. The focus of these reviews is all about how people behave, the work activities they undertake and how feedback is given to facilitate change. This book guides the reader through the whole process, starting with any concerns individuals may have and overcoming objections, followed by the pluses and minuses of developing in-house systems, or using external providers. How to handle confidentiality and feedback, and the way sharing of development plans are undertaken are explained in an easy step-by-step format.